Have you ever seen your windows really sparkle? If not or if it’s been awhile, you won’t believe how bright your rooms can be when you schedule an appointment with The Maids of the Triad window cleaning team. 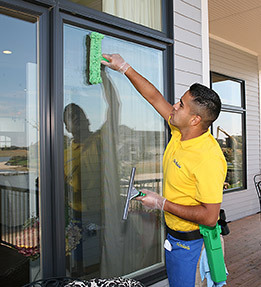 Our team is specifically trained to make sure your windows are clean inside and out. Our window cleaning services allow for streakless views of the outdoors. The Maids of the Triad’s professional window cleaning team will remove streaks, fingerprints, dirt, dust and grime, without drips or streaks. We use professional squeegees, window wands, and tall extension poles, to insure the window cleaners can reach and clean the toughest jobs. Give us a call at (336) 292-7805 for more information on window cleaning in Greensboro, High Point, Burlington, and the Winston-Salem area.